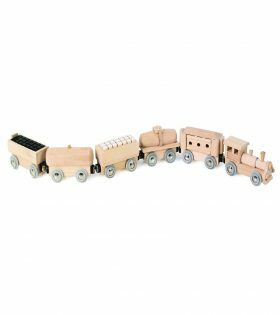 A powerful locomotive animates the fantastic world of wooden trains in the nursery! 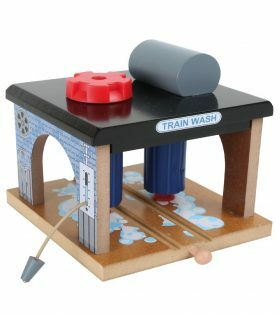 Use the control switch to move forward, backward and press it to make the funnel sound like a real train! Set of 3. 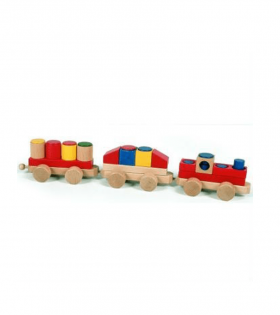 Colourful and highly detailed locomotives made of painted wood to complement our fleet of wooden trains! The two engines have long movable axes for easy management of even small curves! Make way! 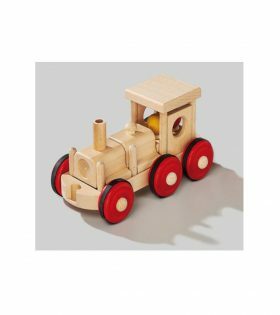 Here comes a wooden high-speed train. 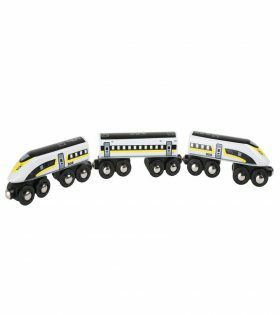 The streamlined shape cuts a fine figure in front of the slower regional trains. 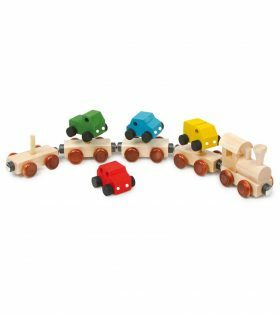 Here the railcars are hooked to each other with magnets and the plastic wheels are compatible to any rail in the child?s room. Every train needs a proper rubbing down once in a while! With this wooden washing system they?re given their due and shine in a new light. The washing system can be mounted on the common rails and can therefore be integrated. Two rubber rollers are responsible for polishing and are turned by a small wheel on the roof. Open 24 hours, so there are no long waits! 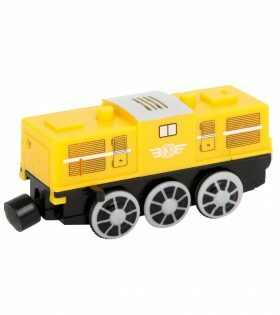 Smashing locomotive made of plastic with remote control which can drive the train in 2 directions! 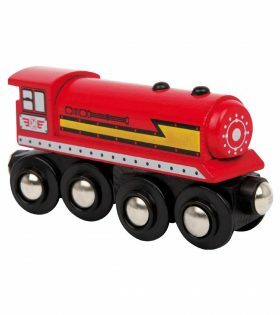 And when you press the buttons on the remote control you can hear cool sounds (loudspeaker announcements, gate signal, conductor?s whistle, driving noises, going over a bridge) and the headlights turn on! 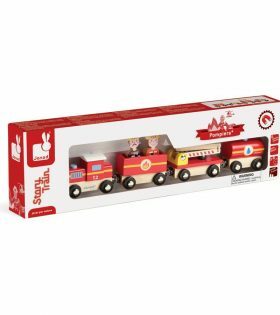 A real hit to complement the popular traditional railways! 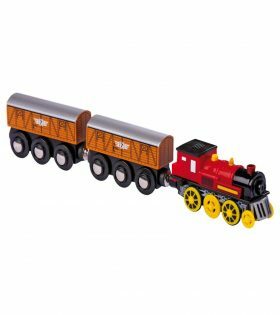 Powerful locomotive, powered by 1 round cell battery, pulls the wagons through curves, over mountains and through valleys! The electric engine makes playing with the trains even more interesting! 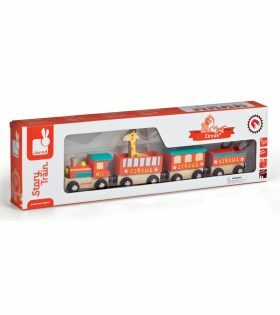 The magnets will help you to keep the train safely on the tracks. Press the button and different sounds will ring out. 6 pieces. 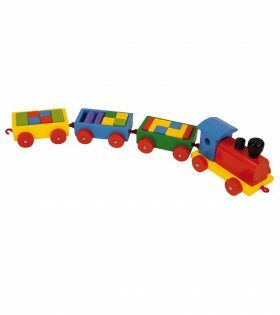 Engine and carriages with magnetic connection parts for a high play value. 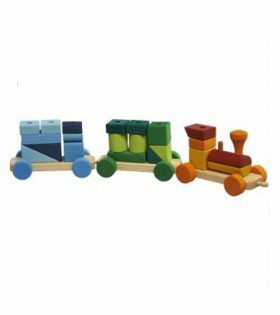 This wooden Train with Cars set from Legler comes with five carriages and four colourful cars that easily slide onto the carriages? 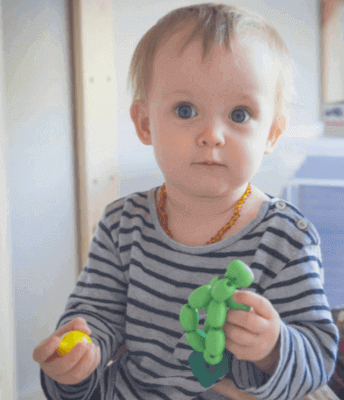 wooden pegs. 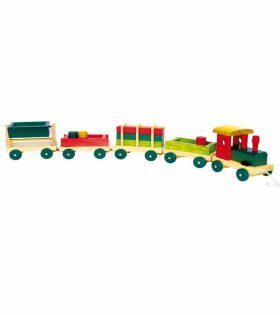 A strong and sturdy wooden train with 3 trailers and removable bricks. 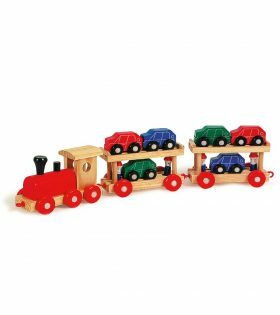 Wooden train set with 14 pieces of assorted accessories and train carriages that can be connected.